Watnairong School, as it was first called, opened on the 17th of May 1955. 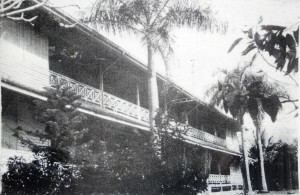 The school used the hall way of the temple named Watnairong as classrooms. The school had only lower secondary that catered to 2 classrooms, 77 students, and 3 teachers headed by Mr. Thumrong Komolbut as the first principal. In 1978, Watnairong School began accepting both lower (Grade 7-9) and upper secondary level students (Grade 10-12). The word “Nairong” originated as a title of a performer and theater owner named Chao Grub. He performed in the ancient play called “Lakorn Nok”. 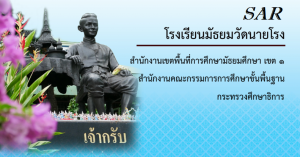 His play was one of the famous plays in the reign of King Rama IV. Chao Grub, or Nairong, donated his land to build the temple and the name “Wat Nairong” was given in his honor. Watnairong School was founded on the 13th of February 1955. 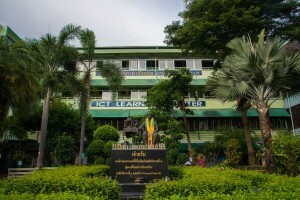 The school is situated between two temples, Wat Nairong and Wat Bangbumru, occupies some 5 rai and 121 square wah (about 2 acres). 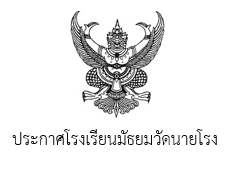 On the 6th of September 1996 the name of the school was officially changed to “Matthayomwatnairong School”. The school has been royally awarded “The Outstanding Secondary School” in the year 1983 and 1993. In 1998, the school was one of the few that took part in “The International Standard School Project” (ISSP). 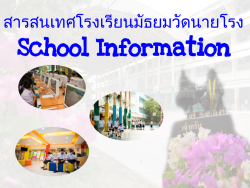 Matthayomwatnairong School now offers 3 program that includes: English Program (EP), Mini-English Program (MEP) and Integrated English Program (IEP).